Courtney Pulitzer's Cyber Scene: Osons La France! I spied this subway advertisement a week ago and it caught my eye. 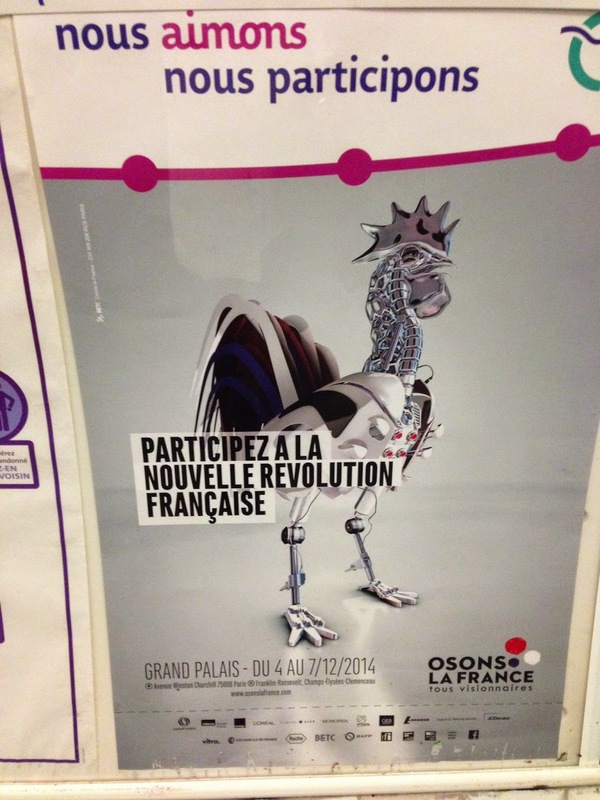 It's an advertisement for an event at the Grand Palais and is apparently for a "new French revolution." I'm noticing more and more various efforts France (or various organizations that represent France) are making to get behind tech, new tech, startups, internet, web, digital and social media. Their ad says: "We like We participate." I guess the metro (RATP) participates in that they get people to the event...other than that, perhaps it is also their way of saying they support all the new innovations out there that they can use. Either way, it's good to see these signs. Signs of acceptance, moving forward, moving. Motion! Shopping in Paris. Quaintness vs Obtuseness.